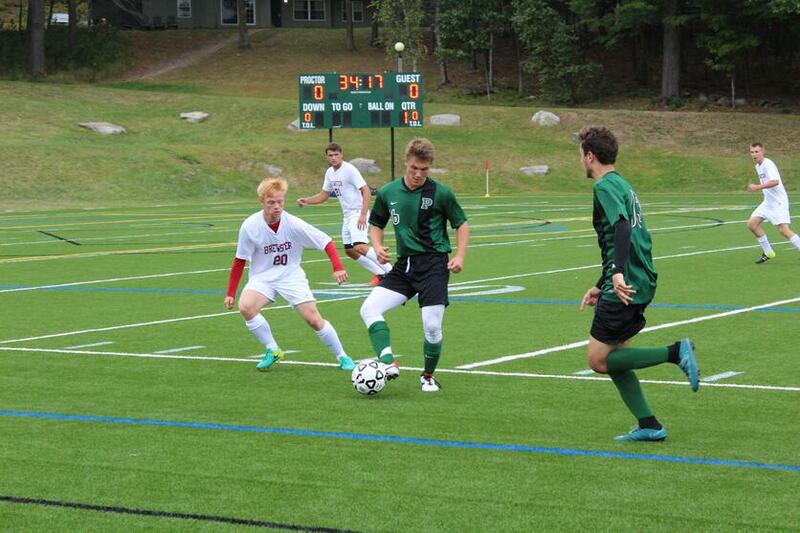 Proctor’s boys’ varsity soccer team is putting the finishing touches on one of its strongest seasons in recent history. 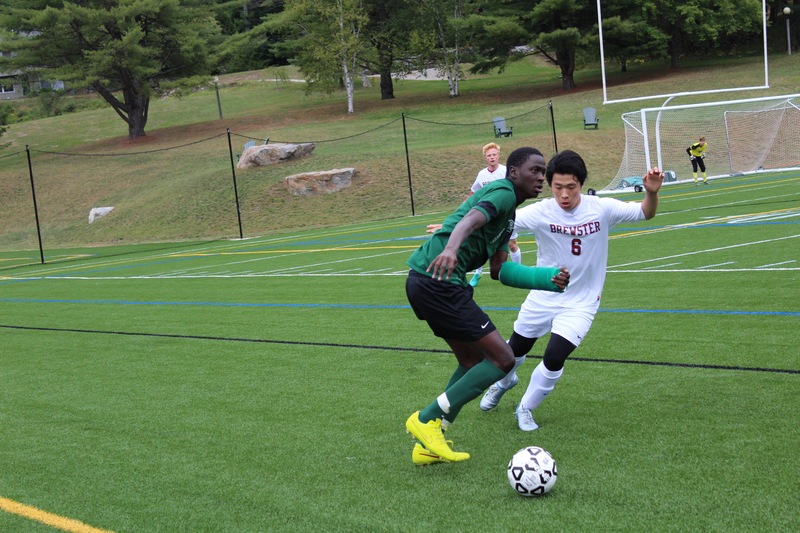 With a record of 9-4-1 heading into its season finale with Tilton School on Wednesday, Head Coach Ian Hamlet’s squad has positioned itself well for a NEPSAC postseason berth for the first time in more than fifteen years. Hamlet and two-year captain Caleb Green ‘17 (Londonderry, NH) share reflections on the season in this week’s team spotlight. 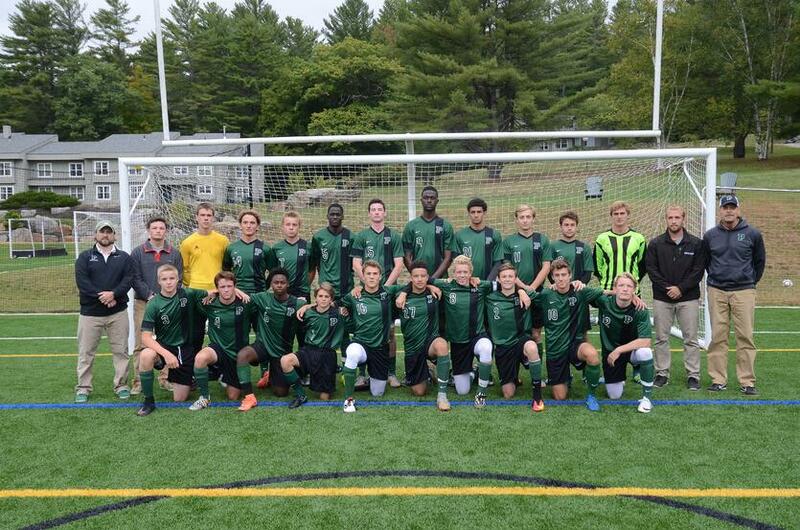 The 2016 version of the boys’ soccer team looks much different than last year as the program sought to replace four-year starting goalie Max Barrett ‘16 (Dickinson College) and standout forward Wari Isaac ‘16 (College of St. Rose) along with eight other members of the Class of 2016 who left a significant impact on the program. Drew MacInnis ‘17 and Lucas Bush ‘19 have more than held their own in net this season behind a veteran defense led by Green, Geo Baker-Occeus ‘17, Luke Weber ‘18, Jay Pier ‘17, and Patrick Lewis ‘19 notching five shutouts on the year. Offensively, the Hornets have had contributions from a plethora of different players, with Tate Singleton ‘17, Finn Weber ‘18, Simon Carruthers ‘17, Eammon Healey ‘17, Pape Diallo ‘19, and co-captain Cole Joslin ‘18 all taking turns leading the attack. Perhaps this team’s greatest strength comes in its depth. Hamlet and assistant coaches Kyle Connolly and Peter Southworth all agree, “Our team’s goal for the season has been to compete at our very best in every match and to battle for 90 minutes. This takes a concerted effort from everyone on the squad, each day in practice, supporting from the bench in games, and giving it their all when on the field.” Hamlet adds, “As coaches we aim to get as much success as possible out of the team as a whole, while tirelessly working to help each player improve his individual skill. We want each player to feel valued, encouraged to grow as a player, and further prepared for games down the road.” Reserves Jonathan Aku ‘20, Timmy Bechtold ‘20, Hazem Chehabi ‘18, Ryan Methven ‘19, Augie Mueller ‘19, Liam Shanahan ‘18, and Mikel Timm ‘19 have been invaluable contributors to this year’s team both through spelling starters with key minutes during games and providing intensity and focus during training sessions. Be sure to come out and support the boys in their season finale at 1:30 pm on Wednesday, or tune in via Livestream if you cannot make the trip to Andover!